We head into a “straightforward” run of games starting with Newcastle, who had a tough start to the season but have started to pick up points and wins. We really need a win here to start our season properly, and I feel a win here would really help us achieve our targets. 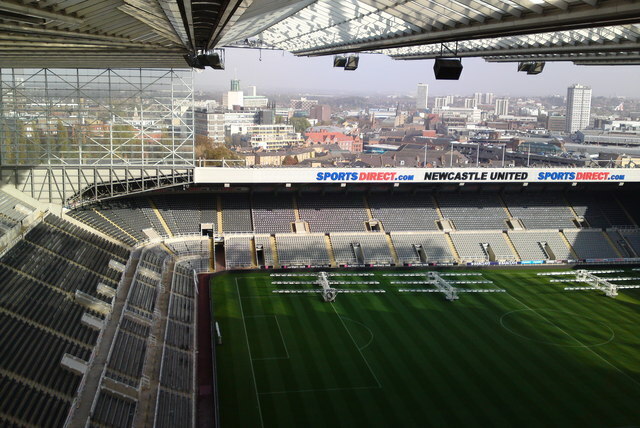 This massive stadium dominates the skyline of Newcastle, after the renovation of the stadium in 2000 the roof of the stadium was the largest cantilever structure in Europe. The roof allows natural light to come through which is rather unique. There are three statues outside the stadium which are worth seeing of Jackie Milburn, Alan Shearer and of course Sir Bobby Robson (this statue also has a handy ATM nearby). Train: Newcastle Central Railway station is the closest railway station to the stadium and is about a 15 minute walk away. The route is clear and the stadium is easy to find from there, and if you do happen to get lost there will likely be large crowds heading to the stadium. Be warned that some of the metro trains going to St James’ via Monument, it’s only advisable to board these trains if you have trouble walking as it’s most likely easier and less time consuming to walk directly from Central station. Car: When coming to the end of A1 (M) carry on to the A1 North then the A184. Keep going then bear left onto the A189. Go over the River Tyne, while on the Redheugh Bridge you can clearly see the stadium. Carry on the dual carriageway which leads straight to the stadium. As the stadium is located in the middle of the city centre, there are plenty of places nearby to go to. The most popular pubs for away fans are near the railway station, but some of them only allow away fans if they have no colours on display and no children. The Head of Steam pub is listed on the CAMRA good beers guide, so that proves a popular pub. There’s also a former Wetherspoons called the Union Rooms, which is family friendly. Gotham Town and Victoria Cornet are pubs in the area that do not allow any away fans. The concourse at the stadium is rather spacious and offers chicken Balti pies, ‘Mag’ pies, mince and onion pies, peppered steak pies and cheese and onion pies for any vegetarians. A wide variety of alcohol is served too, in the form of Carling (£4.50), Coors, Kingstone Press Cider (both £4.40), Kingstone Press Wild Berry Cider (£4.70), Wine (£5 all varieties), gin and tonic (£5.50) and Jack Daniels and Coke (£6).